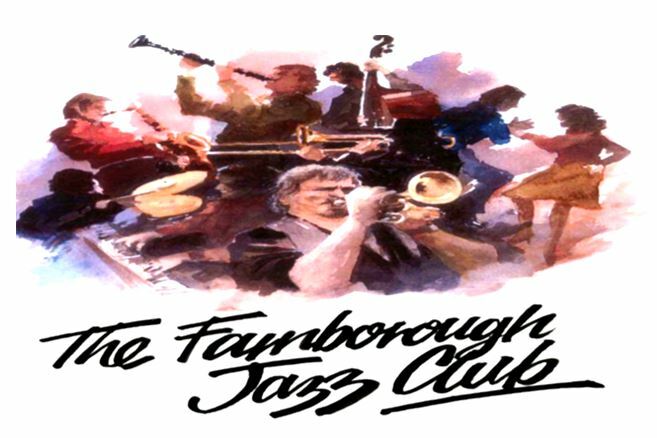 BATTLE OF BRITAIN ANNIVERSARY- Art & Jazz FARNBOROUGH JAZZ CLUB 16th September 2016. CELEBRATING BIGGIN HILL’S PART IN THE BATTLE. We are celebrating this year’s ‘BATTLE OF BRITAIN’ ANNIVERSARY with an art exhibition to show Keith’s Grant’s Spitfire and jazz watercolour paintings, plus a special fun jazz band called ‘THE FENNY STOMPERS JAZZ BAND. This is all happening here at FARNBOROUGH JAZZ CLUB, Kent. It’s a fancy dress (optional of course) party. The band intend giving you plenty of entertainment with a 1940’s flavour and are (leader) DENNIS VIC on clarinet, DAVE MARCHANT (not our Dave) on trumpet, JOHN LEE (not our John) on trombone, BRIAN VIC (Dennis’ brother) on banjo, DAVE ARNOLD on double bass (& poss Sousaphone) and KEN JOINER on drums. Don’t forget, we have plenty of dancing, plus a brolly parade, (bring yours). Also great bar staff, who serve SHEPHERD NEAME ‘Spitfire’ (among other drinks of course, such as ‘Master Brew’), plus we have plenty of free parking space. If you haven’t been here before, everyone is welcome. Music is from 8:00pm till 11:00pm. Ye Olde Whyte Lyon Public House, built in 1626. Shepherd Neame(photo copyrite 2013). We also have a special date for you to enjoy KEITH GRANT’S QUARTET, 4-IN-A-BAR+1 playing smooth jazz at YE OLDE WHYTE LYON in Locks Bottom (Kent), which is on the A21, next door to Sainsbury’s and THE PRU HOSPITAL. It will be held indoors (Publican Tim has decided not to take a chance with the weather, if it is fine the windows and patio doors will be left wide open). (14 years old and over only). Free Parking, plus overflow in Sainsbury’s car park behind pub (free on Sundays) – park over far side and walk thru slip way to pub. They also have great bar staff, serving tasty SHEPHERD NEAME’s ‘SPITFIRE’ (among other drinks of course, such as ‘Master Brew’). The quartet has KEITH GRANT on drums, JOHN LEE (ours) on tenor sax, TIM HUSKISSON on piano, TIM PHAROAH on double bass and the + 1 being me (Diane), giving an occasional song – if you can stand it).